Online banking with Citibank is now accessible in your own iPad. The recent launching of Citibank for iPad has raised the benchmark for online banking with fast, reliable, and secured way of tracking and analyzing your finances. With Citibank for iPad, gone are the days of the old-fashioned style of ledger banking. In this first-ever app of a major American bank, a visual and graphical interface of your finances is at your fingertips. You can easily check your account balances, transfer money, control cash flow, pay bills, acquire rewards, or find the nearest Citibank branch and ATM booths. What differentiates Citibank for iPad from other banking apps is that it maximizes the tablet interface of iPad with its fresh and visually striking graphics as well as an interactive approach to online banking. 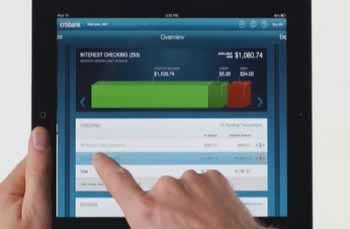 Unlike other banking apps for iPad that mirror the PC or mobile phone interface, the Citibank app takes advantage of the unique tablet experience to provide users with a visually revealing, insightful interface along with a host of interactive new features. Citibank for iPad is the by-product of Citibank listening to your online banking needs. “We want this to be more engaging and dynamic—beyond the standard static tables you find with other iPad apps,” said Tracey Weber of serves as the chief of the Internet and Mobile Banking for North America Consumer Banking. With Citibank for iPad, you also have access to exclusive services including Citi Personal Wealth Management and Women & Co. and real-time customer service. Banking with Citibank has never been this easy.